I am about to ruin my husband’s Christmas. I am going to review the book I bought for him and, since he gets this blog in his inbox, he’ll know all about this book before he gets it as a Christmas gift. Not to worry, though, he’ll still love to read it. Why will he love to read it? 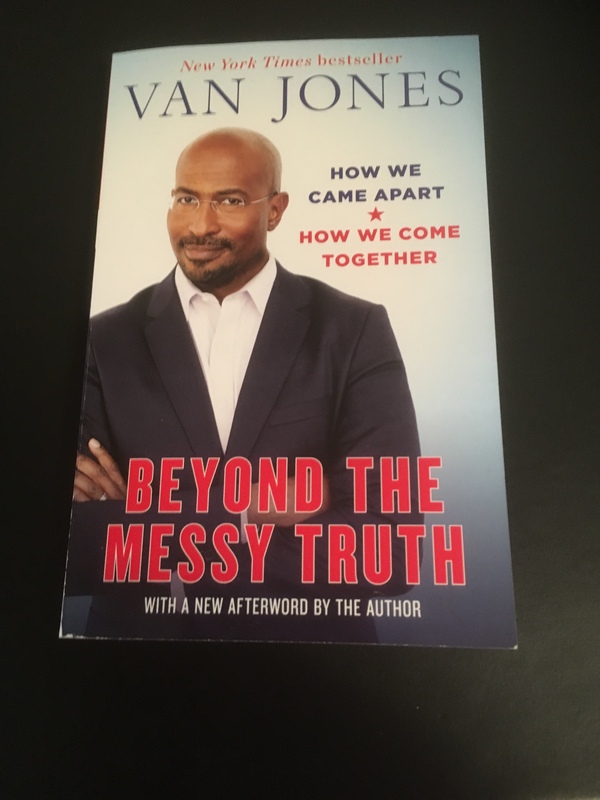 Van Jones is one of the best storytellers in America and Van Jones’ Beyond the Messy Truth: How We Came Apart, How We Come Together has some great stories. These stories about how Americans can work together are a balm for everyone worried about America today. There are many people, beyond Americans, worried about the United States today because the promise of America is a promise we’d all like to believe in. Jones talks about the “dream of America”. The dream of America, he says, is captured in the phrase “that all…are created equal”, from the Declaration of Independence. While all have not always been equal in America, there can be no doubt that this is what America strives to be. As someone from a neighbouring democracy, a democracy with its own values and aspirations, I know that we need America and its dream in the world. At this time in history, when it seems as though few are defending the American dream, Van Jones does.